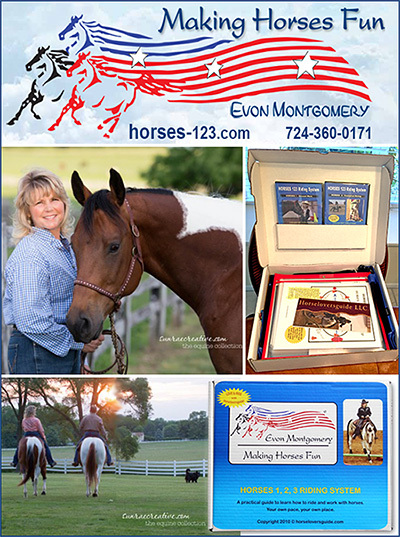 If you have horses, you will need a good Horse Trainer to fully enjoy your equine friend. The links above will lead you to some of the best known Horse Trainers in the world, and, some up and coming horse trainers! InfoHorse.com also provides you enough information to help you make an informed decision about the trainer by giving you a nice biography on the training and sharing their training philosophies. Always be sure to interview the trainer and get references to ensure that you have selected the right horse trainer for you and your needs. Every horse owner should take the opportunity to attend Clinics given by Horse Training Professionals who are skilled and compassionate. All Horse people should have a qualified, caring horse trainer available to assist when we need it.